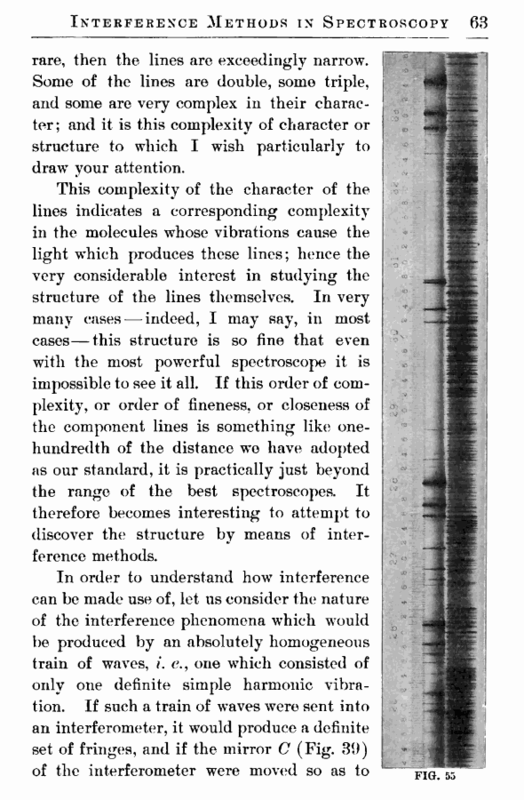 increase the difference in path between the two interfering beams, then, as was explained above on p. 58, these interference fringes would move across the field of view. 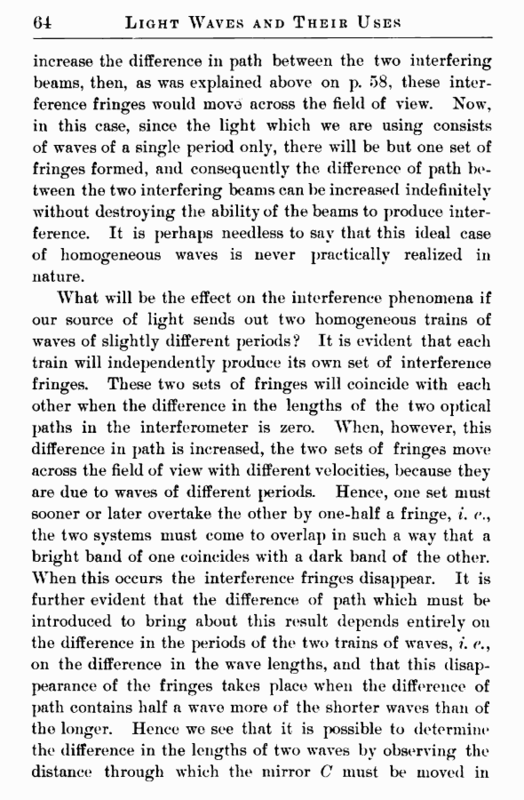 Now, in this case, since the light which we are using consists of waves of a single period only, there will be but one set of fringes formed, and consequently the difference of path between the two interfering beams can be increased indefinitely without destroying the ability of the beams to produce interference. It is perhaps needless to say that this ideal case of homogeneous waves is never practically realized in nature.